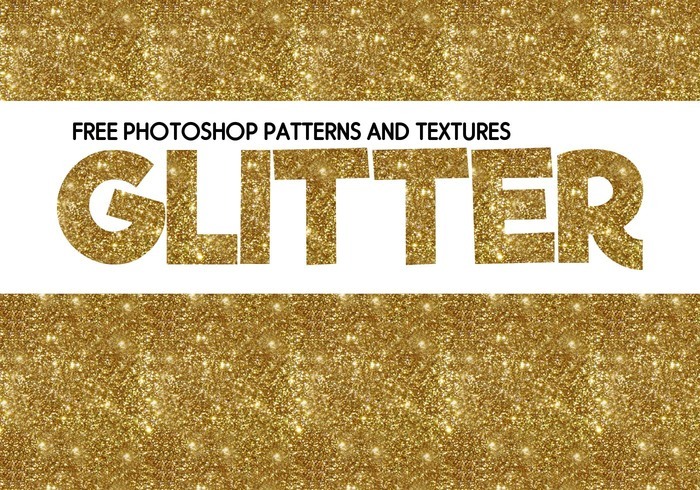 14 Glitter Textures as JPEGs and Photoshop Patterns. These are photographs taken of glitter foam pieces, so they don't repeat too well, but they look great on text and images. Free for commercial or personal use. No attribution required. Courtesy of Michelle Grewe. You can find her at michellegrewe.com and crumpetsandbollocks.com.